Don’t Tow Your Kia To Strangers! Remember - It is your RIGHT to choose a repair shop of your choice, not your insurance companies. Body Shops routinely pay tow truck drivers a very substantial commission. The funds have to come from somewhere. The result is often poor workmanship and cheap after-market replacement parts. Your insurance company may recommend a body shop. Again, they might also repair your vehicle with non-Kia parts to reduce costs. You have the right to select the repair shop. You do not need 3 estimates. The auto body shop is responsible for the repairs, not the insurance company. Insist on Genuine Kia parts for the perfect fit. Using Kia parts ensures your original warranty remains intact. 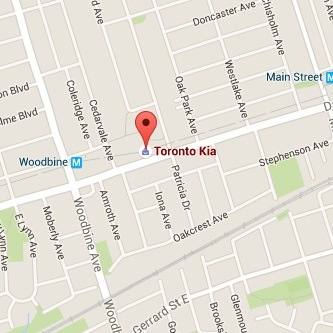 Toronto Kia is a Preferred Insurance Approved Shop. We Honour All Insurance Company Claims. We repair and refinish alloy wheels. Interior Trim Repairs and Restoration. Body or Frame, Dents or Dings, we are the experts. Genuine Kia parts for repairs will ensure longevity and fit.